It's a reasonable start time this morning - a lesurely breakfast had in my nice apartment combined with a morning chat using the fabulous Apple iChat to Paalo back home. it's very high tech as you can see. Today I'm trying out the underground - very brave of me. Well, not really. The underground is just on the corner of my street - and the cavernous space could only be classed as an example of soviet "style". The day tickets could only be purchased from the ticket window, but there's no language problem, which comes as a welcome change. It's a bit odd to see that date is validated with a red pen by the lady behind the counter. I must issue one warning though - the escalators here have got to be the fastest I've ever experienced anywhere...not only that they are deliriously steep. There's no change to dilly dally here with that "where shall i put my foot" nonsense - as soon as you put one foot down you are sent flying down a never vertical drop. It's slightly disconcerting when you're at the top of these escalators that the only thing you can see is the first step - everything else is down to faith. 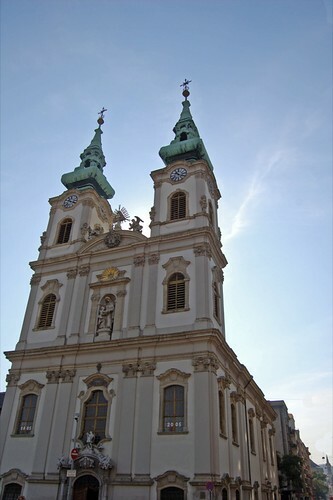 This is a baroque church built between 1740-1762 but was only consecrated in 1805 due to earthquake damage in 1763. It's best features are the painted cupola, high altar and pulpit all dating from 1771-1773. 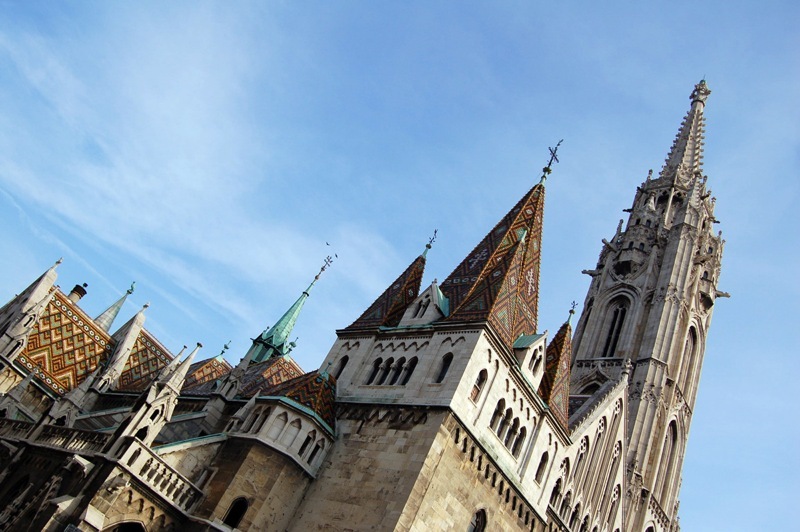 The other is St Elizabeth's Church (Erzsébet Apácák Temploma) - it's location unfortunately stopped me taking any decent shots. 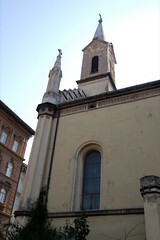 This church is noted for it's late 19th century frescoes. Opposite Batthyány Ter is the Vásárcsarnok (Market Hall) - which is similar in architectural style to the Market I went to yesterday but this has been converted into a mall - with a large supermarket and various specialty shops. 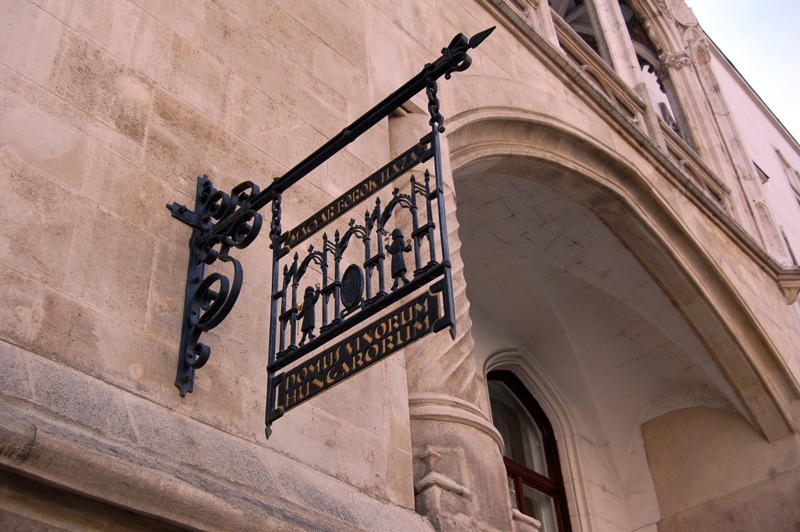 I purchase an excellent small spiral bound map of Budapest from the bookstore here and pause for a pleasant coffee in a small cafe upstairs. 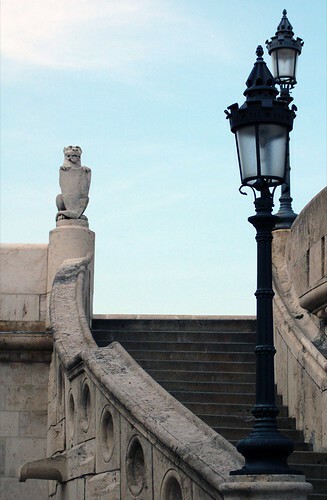 Armed with my new book I headed off along Fő Utca , merrily snapping away. 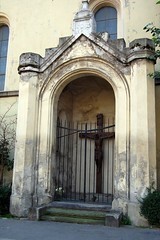 Also at Corvin Tér you'll find the Capuchin Church/Kapucinus Templon. 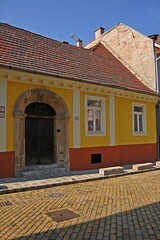 Originally a medieval church stood here but it was converted into a mosque during the Turkish occupation. 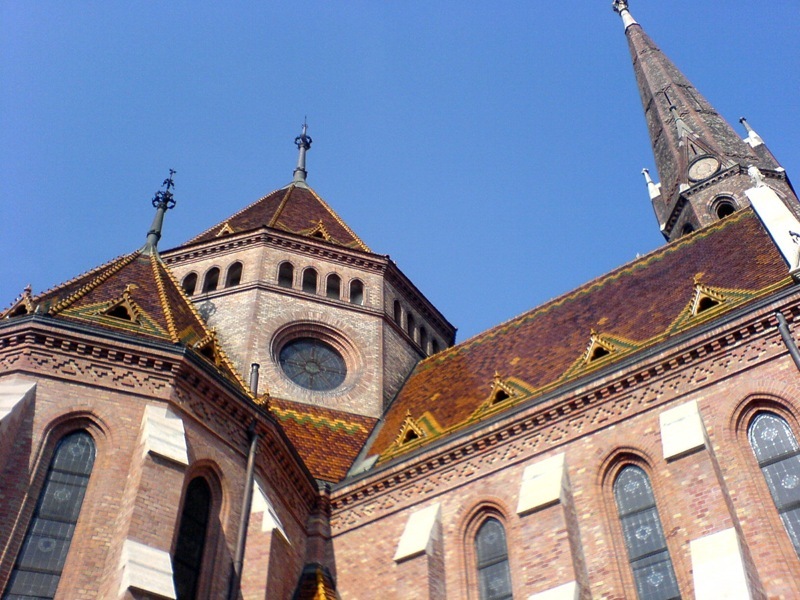 After liberation in 1896, only elements of the original church remained. 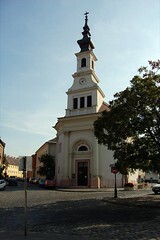 It was then rebuilt in 1703-1715 with a further renovation in 1856. 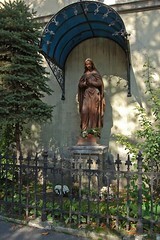 This is a statue of St Elizabeth from 1856 and it's located on the facade of the Capuchin Church. 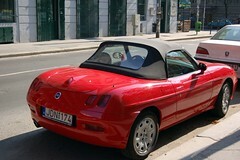 Sorry Paalo, it's a Fiat not a Ferrari. 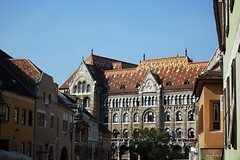 Nearby is the Calvinist Church (Református Templom) - the roof is covered in ceramic tiles made by the Zsolnay factory. 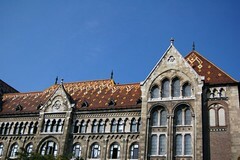 It was designed by Samu Pecz in 1893-1896 in a neo-gothic style. 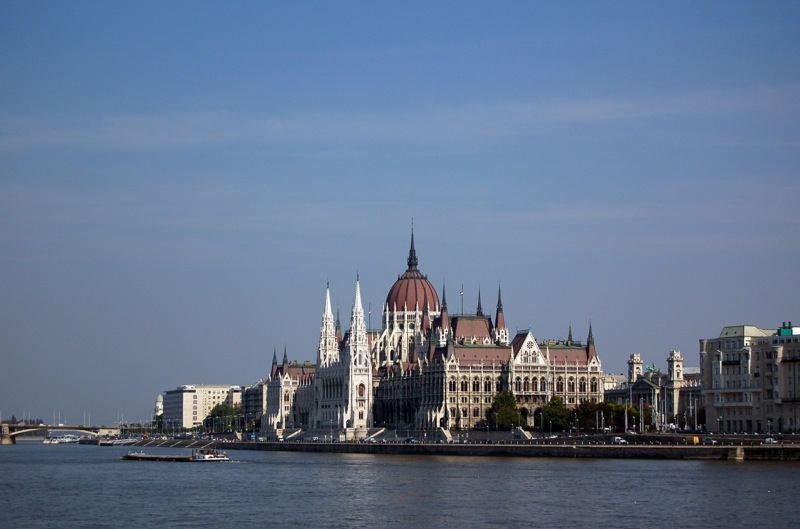 I should say that Fő Utca runs parallel to the Danube, a block away from the water's edge - it's here that two things happen. and the second is that I'm once again approached by a most friendly man. This time I'm just sitting on the low wall near the river edge just minding my own business and checking my location on the new map I had purchased. When, I must say, this man appeared from no-where, smiled and sat beside me. And then he began the chit chat. He's from Iran and would I like to have a coffee with him. Umm no, I have plans already. Okay, Can I come with you? Umm, no I don't think so. 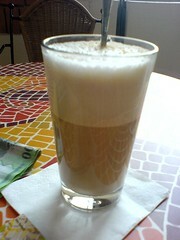 Well, then, if not coffee how about Lunch? Umm, no, I still have those plans remember. 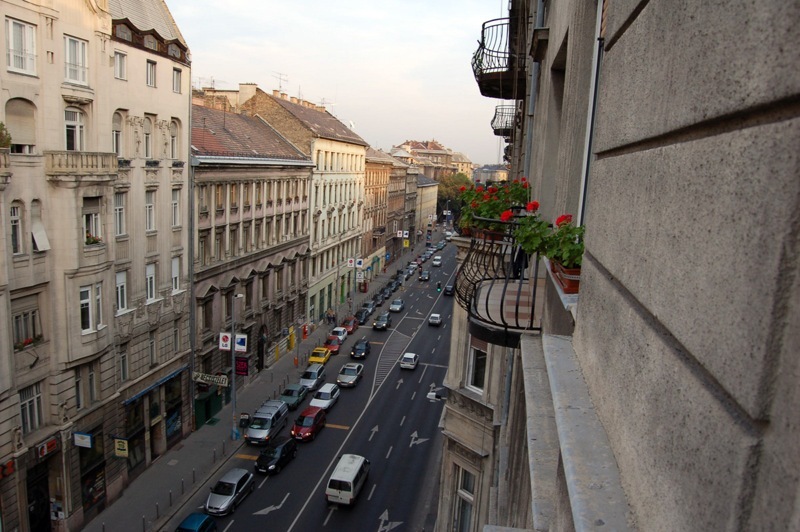 It went on like this for a little bit until I finally decided to head in the direction of the more populated Fő Utca. Now it's only here that I really felt uncomfortable because he touched me. I really don't like strangers putting there hands on me, regardless of their intentions. His persistence was really becoming unsettling - the saving grace for me was that I was on a street with a lot of pedestrian traffic. The final straw came when he launched his final assault and uttered the highly memorable "Can I kissssssssssss you?" That's when I really got fed up and basically told him where he could go, in a firm but pleasant manner. He got the hint and disappeared back into the woodwork. 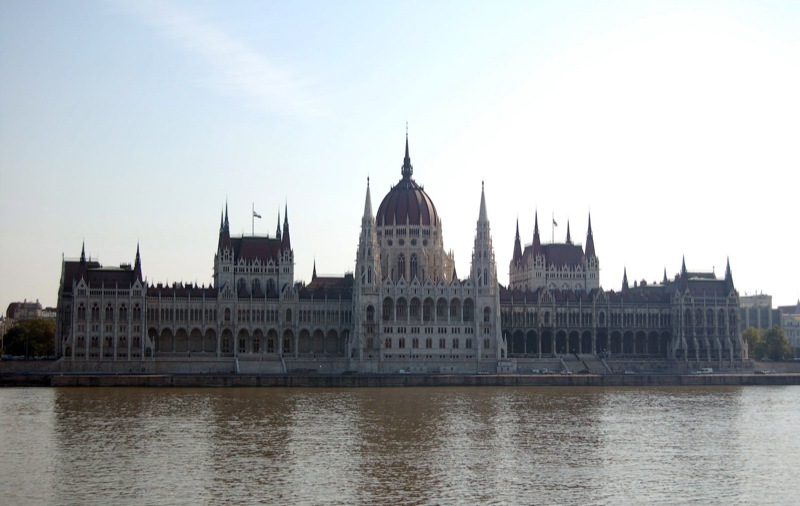 There just must be something about cities that start with B...first Brussels, and then the wobbly eyebrow man in Berlin and now Budapest. Maybe I should rethink Barcelona? At least now I'll have another excuse not to go to Brisbane! 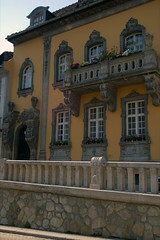 I must admit I was rattled by this so I decide to forgo the walking and decided on taking a taxi up to the Castle. 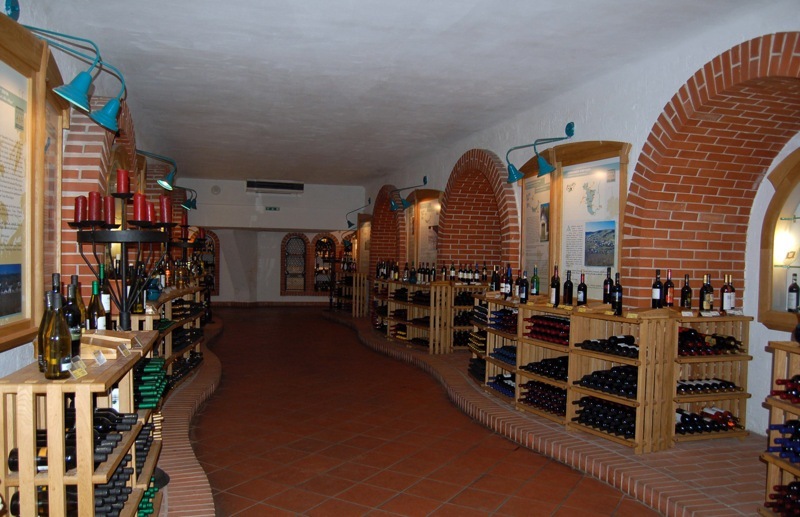 here you'll find over 700 wines on display in the cellar from the 22 wine regions of Hungary and a selected number of which (over 50) are on tasting. 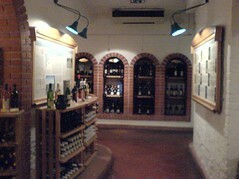 With your admission ticket you get to spend two hours tasting, a tasting glass you can keep and a little packet of snacks. 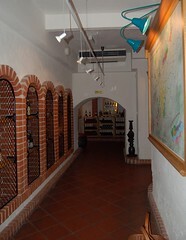 You're also given a map showing the layout of the cellar with details of the different wne regions. There's one thing that I couldn't stress enough, don't go there if your intention is to get drunk - it's frowned upon and you will in fact be removed. 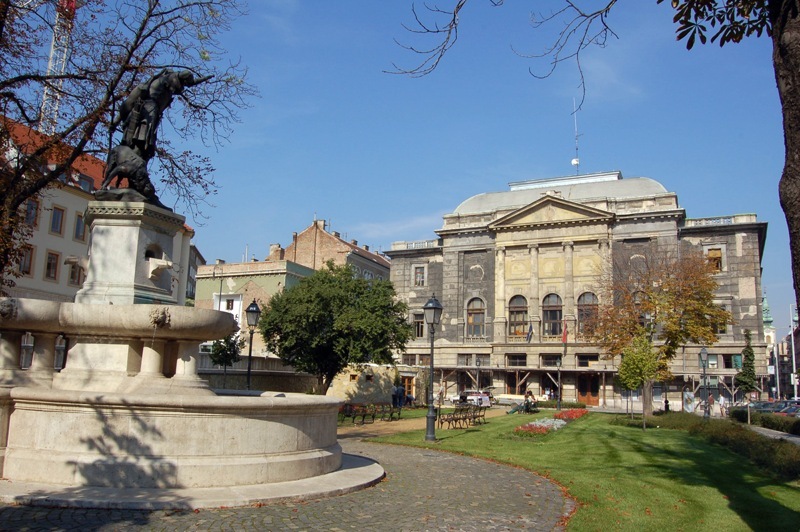 This is really for people that want to experience the diverse nature of Hungarian wines. Demján Pince Badacsonyi Olaszrizling 2003 - from the Badacsony region known for the mineral rich soil from it's extinct volcano. 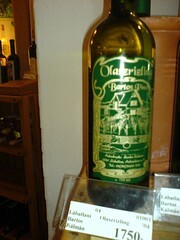 Olaszrizling has no relation to the Riesling grapes of Germany. 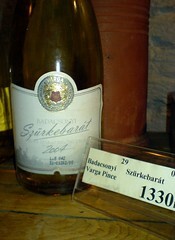 Varga Pince Badacsonyi Szürkebarát 2004 - also from the Badacsony region - this is a Pinot Gris. A slightly oily mouthfeel but a clean crisp apple taste. Good levels of acidity. 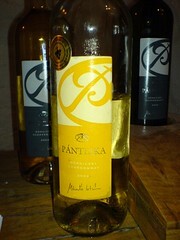 Pántlika Dörgicsei Chardonnay 2004 - from the Balatonfüred-Csopak region, known for it's red earth - this had a full peach nose and a rich taste of stone fruit. 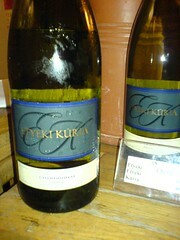 Etyeki Kúria Chardonnay 2004 - from the Etyek-Buda region. 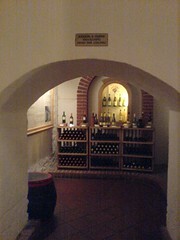 The soils (with their lime and mineral mix) result in dry and fragrant wines. 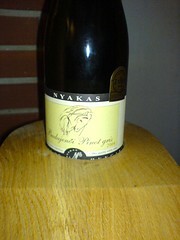 Nyakas Budajenői Pinot Gris 2004 - another from the Etyek-Buda region. This had quite a refreshing mouth feel - once again well balanced acid levels and would be a good match with spicy foods. 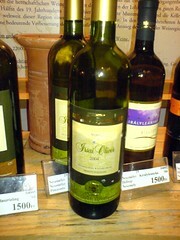 Bartos Pince Lábatlani Olaszrizling 2004 - from the Ászár-Neszmély region - a cooler climate with sandy soils. 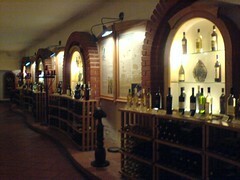 Szőllősi Pincészet Neszmélyi Irsai Olivér 2004 - from the Ászár-Neszmély region. 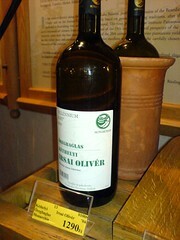 Irsai Olivér is the product of crossing two grape varieties (Pozsony and Pearl of Csaba) - it's produces floral wines and this was a good example of that characteristic. 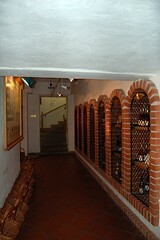 Fazekas Borpince Somlóvin Furmint 2001 - Furmint is the grape used for Tokaj Aszú. 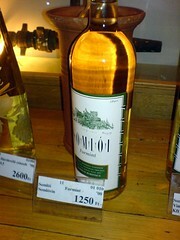 This wine is from the Somló region and exhibited kerosene flavours, somewhat similar to aged Australian reislings. 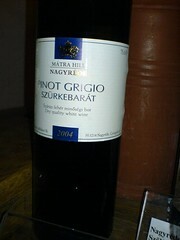 Matra Hill Nagyrédi Pinot Grigio Szürkebarát - this is from the Mátra region - sheltered my hills and mountains from the wind, it's soil is volcanic. This was a crisp and refreshing wine. Monarchia Millennium Baby Öregbaglas Kéthelyi Irsai Olivér 2004 - from the Balatonboglár region - on the southern side of Lake Balaton, temperatures rise quite quickly compared to the northern side. The soil is medium hard clay. 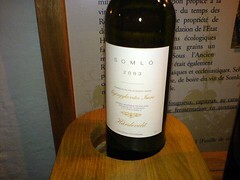 Györgykovács Imre Somló Hárslevelű 2003 - from the region of Somló. 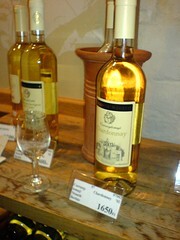 Hárslevelü is probably a Hungarian grape and said to have honey fragrance and bouquet and ages well. This was one of the standout wines of the tasting. 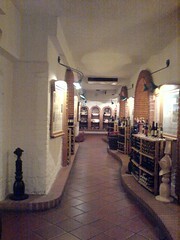 Ópince Pázmándhegy Pannonhalmi Olaszrizling 2003 - from the Pannonhalma-Sokoróalja region. On a hill the soil is medium-hard clay with a brown forest topsoil. I found it to have a slightly oily mouthfeel with a tinge of grassiness and herbs on the palette. 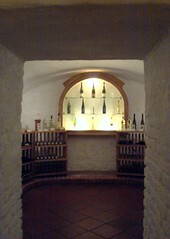 Cserszegtomaji Chardonnay 2002 - from the Balatnfelvidék region, it has a mediterranean climate with soil that varies from chalky stone to lava, basalt and clay. This wine was rich in ripe stone fruit flavours. 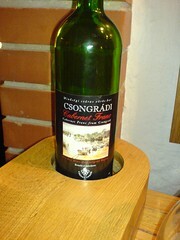 Csongrádi Cabernet Franc 1999 - from the Csongrád Region, a dry climate with lots of sun, the soil here is sandy. 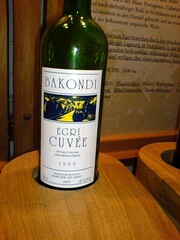 Bakondi Egri Cuvée 1999 - from the Eger region - known for it's long winters and low rainfail, the soil is volcanic based, ash and lava. Chateau Dereszla Tokaji Furmint 2000 - from the Tokaj-Hegyalja region, the area is known for autumns that produce favourable conditions for the development of noble rot, with long hazy sunny days. 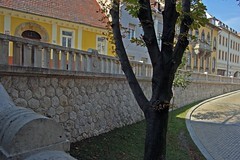 Furmint is the variety that produces the best noble rot. I found sweet citrus notes in a thick marmalade like liquid. Superb. 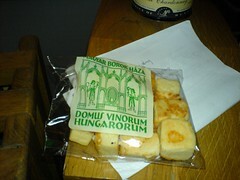 Meszes-Major Tokaji Furmint 2003 - another from the Tokaj-Hegyalja region. Vittória Bt. 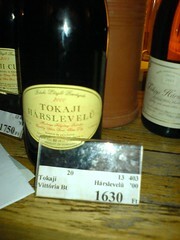 Tokaji Hárslevelü 2000 - another from the Tokaj-Hegyalja region, Hárslevelü is a more robust and full bodied grape variety. where the remains of a dominican bell tower is now attached to a 1970's hotel. It should be noted that the bas relief was added in the 1930's - it's a replica, the original is in Belsen, Germany. 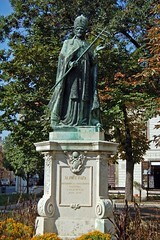 Nearby is András Hess Square and you'll find the statue of Pope Innocent XI. 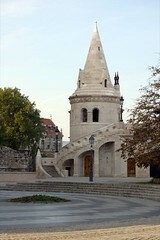 This was built to commemerate the 250th anniversary of the liberation of Buda from the Turks. I particularly like this shot because the Travant makes it. You can see the detailed paint work that still remains on this building. 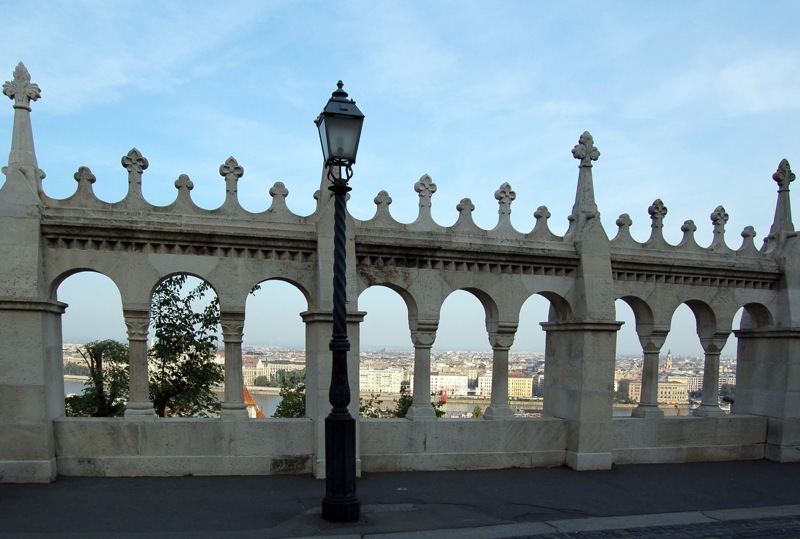 To one side you'll also find Vienna Gate and the memorial to Mihály Táncsics, the leader of the Autumn Uprising. 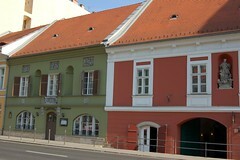 and just opposite is the Buda Lutheran Church - neo-classical in style it was built in 1896. 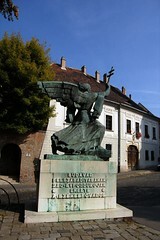 The pastor Gábor Sztéhló saved 1600 children and 400 adults in WW2. Wandering back I decided to stop for a late lunch. 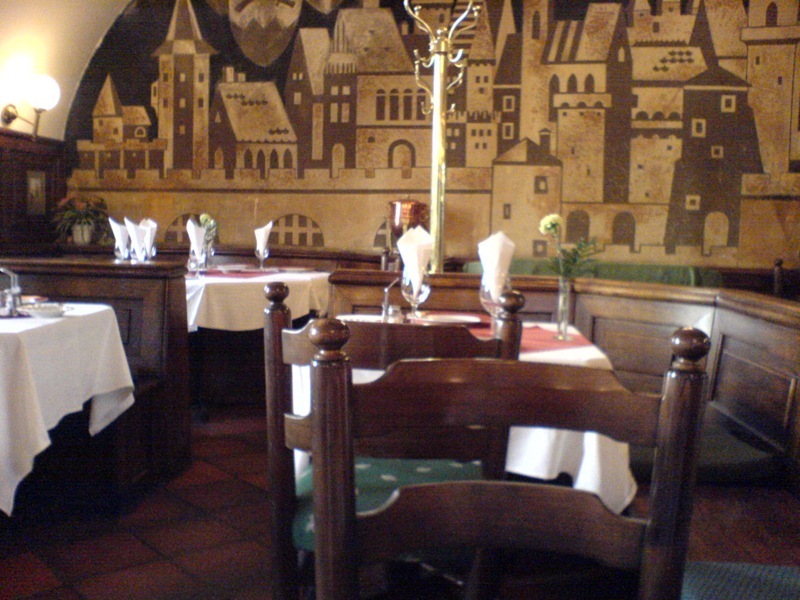 Once again I find a very friendly and helpful waiter, and on his advice I settle on the special pork dish. 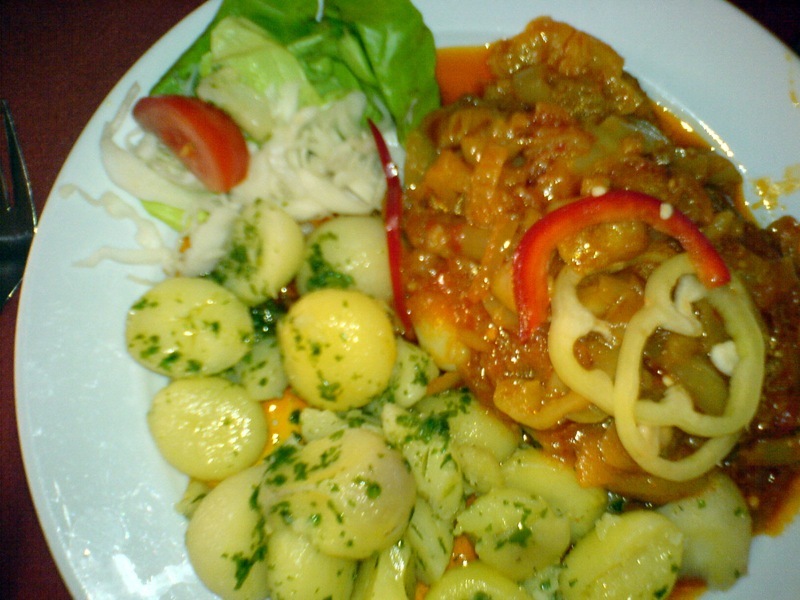 It was absolutely delicious - a mix of sweet peppers and parika and steamed new potatoes. The pork was slow-cooked and just melted in the mouth. Bread was a welcome addition to soak up those luscious juices. 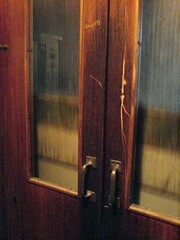 Unfortunately I was unable to get inside so I had to satisfy myself with external shots. 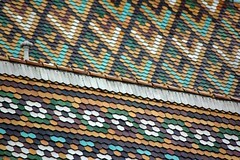 It has one of the most beautiful patterned roof - made from multicoloured glazed tiles. 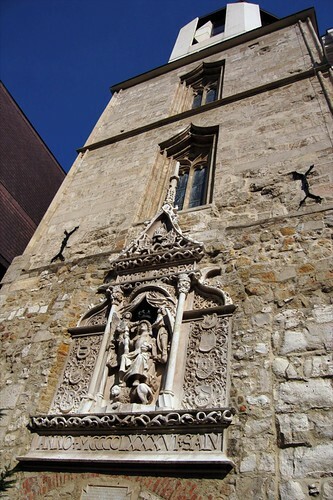 The church was built between the 13th and 15th centuries but during the Turkish occupation it was converted into the Great Mosque and so most of it's original details were destroyed. 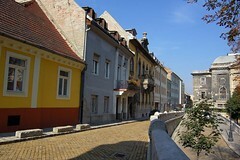 During liberation it's destruction was almost complete so it was rebuilt in Baroque style by the Franciscans. 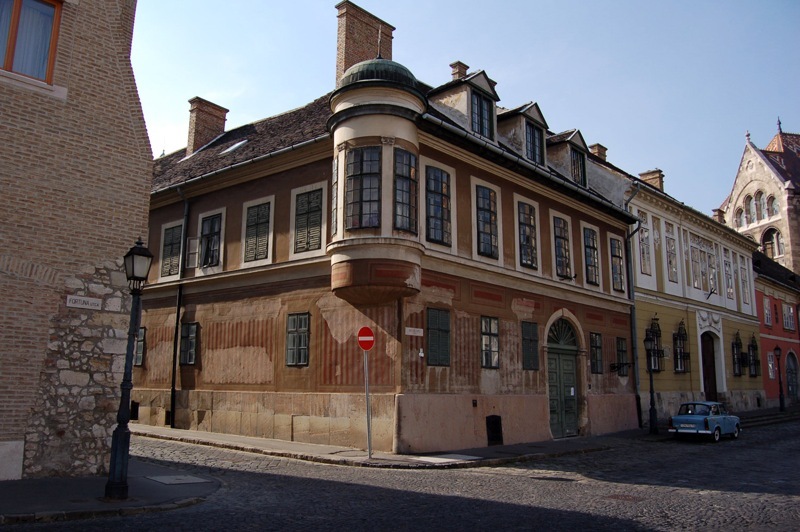 It was again damaged in 1723 and restored in Neo-Gothic style. 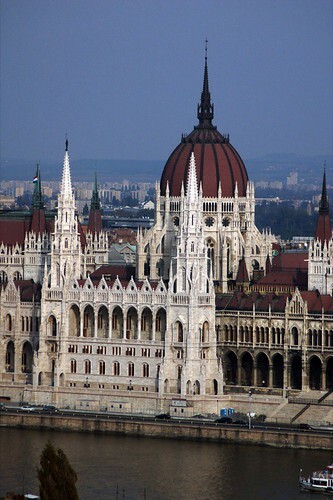 It also suffered damage by both german and russian armies during the second world war and it wasn't until 1970 that the church was finally restored. 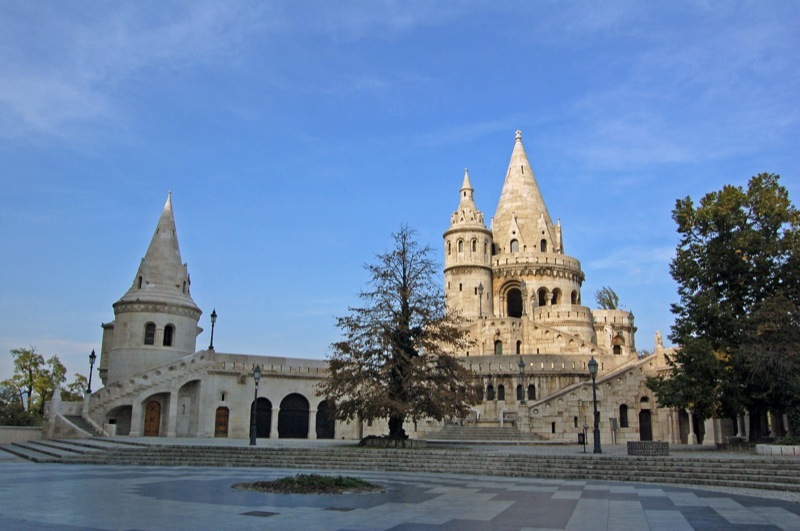 Right next to the church is the area known as Fishermen's Bastion - with offers spectacular views of the Pest side of the city. 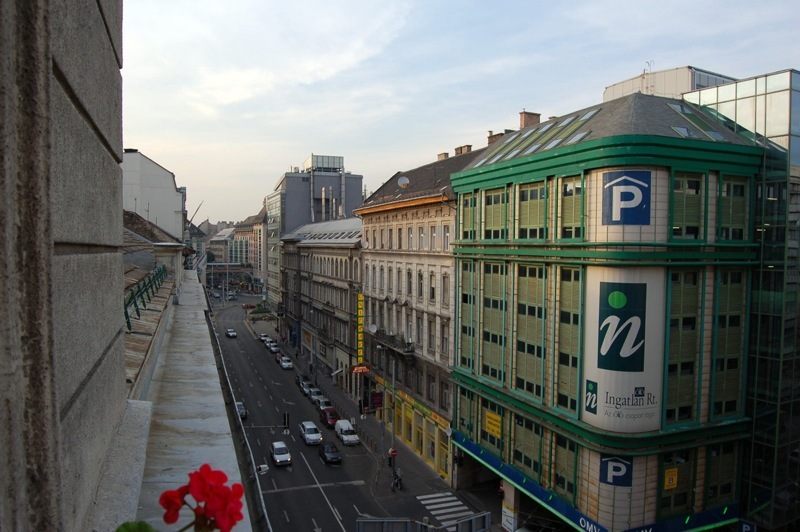 Just beyond the nondescript buildings you can see the dome and spires of St Stephen's Basilica. 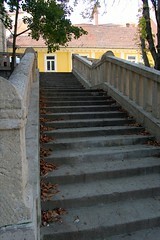 These are stairs you can take to reach the bastion. I really loved this area - and took many photos. 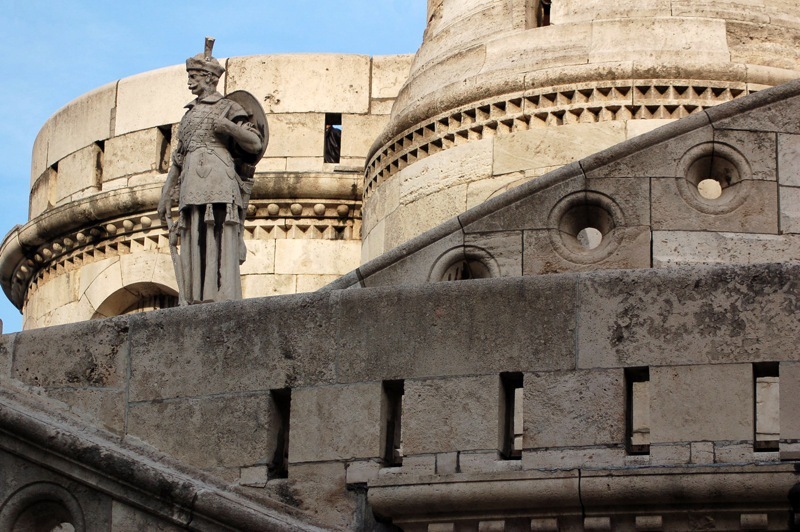 You can climb up the higher sections of the bastion for a fee. 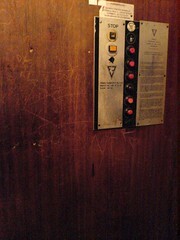 Due to time constraints I stayed on the lower levels. 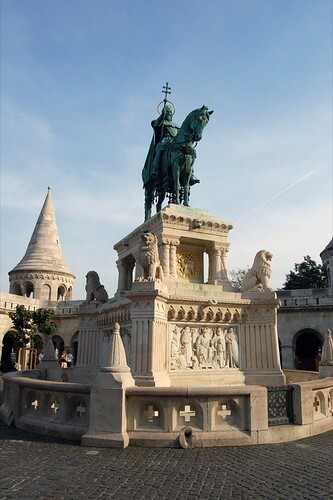 Just before leaving I managed to get a picture of the Statue of St Stephen (István), the first King of Hungary. The base depicts scenes from his life. Having thoroughly enjoyed myself, even with the unwanted attention, I took another taxi and headed back to the apartment. 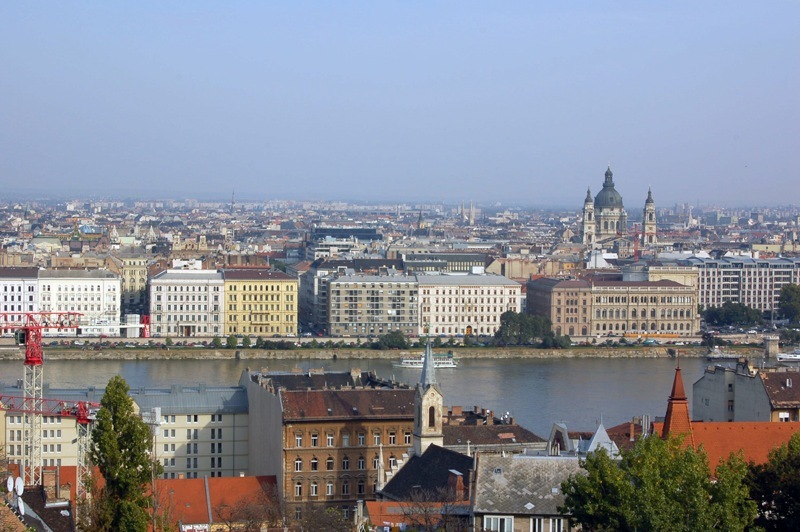 I must say that I absolutely love Budapest and my regret is that I only have one more day left here. and this is looking right. 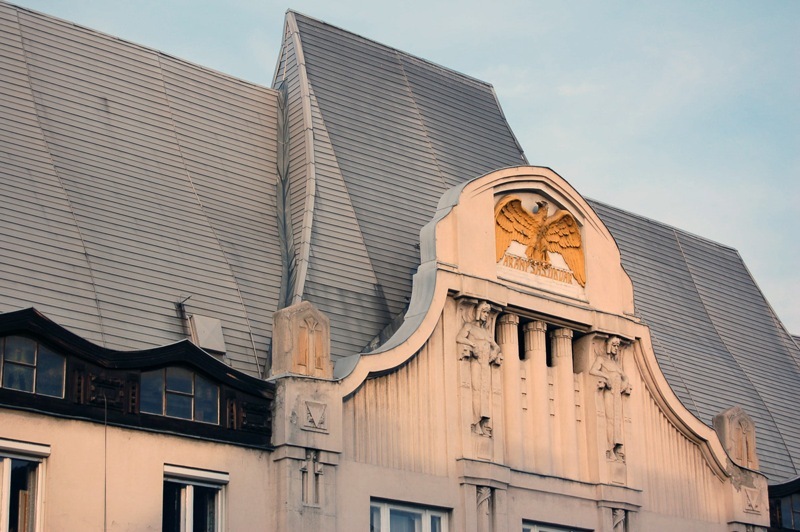 This building is just about opposite and it had the most lovely light from the setting sun drifting upon it - it also has a most unusual roof line.